Here’s an example of the kind of thinking that would have seemed entirely blue sky 20 years ago, but begins to make sense today. Watch, and if you like what you see, help Solar Roadways win the $200 million GE Ecomagination Challenge. This video of a massive storm rolling in on a Finnish beach has been making the rounds for a few weeks, but now someone has added a soundtrack – “Mind Heist” by Zack Hemsey, which can also be heard as the background music on the “Inception” trailer. The resonance this has in the year of extremes is obvious. Recommend head phones and pump the volume. That’s what one of the world’s most well known climate scientists recently told friends. This article in Politico is the case in point. 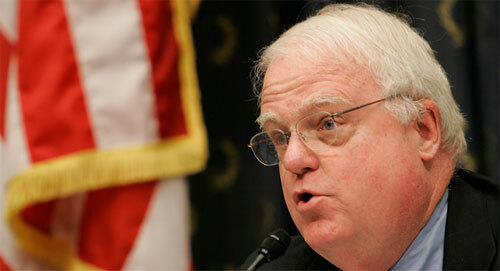 In the event the House of representatives shifts to republicans, Rep. James Sensenbrenner, a foe of progress, reason and science, will become chairman of the Select Committee on Energy Independence and Global Warming. He has vowed to obstruct the pursuit of truth about climate change, and intimidate those foolish enough to ask questions and seek answers about the real world. We’ll also get Joe “I apologize to BP” Barton on the Energy and Commerce Committee, and, in the case of the Senate switching hands, Senator James “global warming is the greatest hoax ever perpetrated on the American people” “There have never been any gay people in my family” Inhofe to the Committee on Environment and Public Works. Every election is critical, as we saw in 2000, but this election could be a watershed if the tea-party fueled anti-science know-nothings of the Republican party take power. My father was chairman of the local county Republicans back in the Eisenhower/Kennedy era, and I know what that once-great party used to be like. But in today’s environment, people like Dwight Eisenhower, Barry Goldwater, and even Ronald Reagan would not meet ideological purity test for what’s become the party of our own native Tea Party Taliban. Extinction: It’s not just for Polar Bears anymore. An accelerating rate of species extinction isn’t just all part of mother natures plan. It’s an expected result of climate change. With changes in the arctic happening faster than any other place on earth, polar species are among those most at risk. Case in point: The Pacific Walrus. The video at 6:51 with the walrus stampede is shown as “Video: US Geological Survey” but it actually is by Fredrik Blomqvist (not affiliated with USGS) taken Cape Schmidt, Russia, 4 September 2009. He also is the one who took the video with Geoff York (WWF) at 7:54 (also taken at Cape Schmidt last year). Real Science. Real Scientists. What a concept. The world’s most accomplished scientists have decisively debunked the “obvious and elementary errors” in “Lord” Monckton’s testimony before the US Congress, see here. What’s pathetic is that this load of garbage is what passes for science among congressional republicans – who made Monkton their only witness in recent hearings. “Lord” Christopher Monckton will presumably move on to his third career of inventing common cold cures and peddling snake oil for AIDS sufferers. Readers are urged to write to their representative and urge them to read this document. I’ll do an update to this update when we have the final numbers.